There's no denying Wayne Rooney had a sensational international career, but the glimpses he provided in 2004 and the disappointment endured on the biggest stages cloud his overall legacy. Wayne Rooney is only 31. He retires from international football as England’s all-time leading scorer with 53 goals and all-time leading appearance-maker for a field player with 119 caps, and yet there can be nobody who thinks he has gone too early. Robbie Keane may have scored 17 international goals after the age of 31, but Rooney is not Keane; he feels at times like the oldest 31-year-old in the world, just as he was the oldest 30-year-old and the oldest 29-year-old. 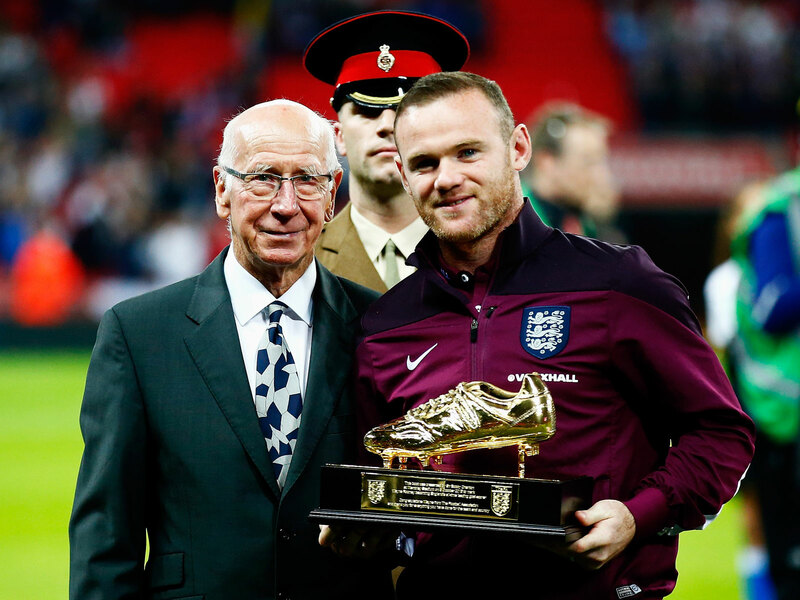 It has been Rooney’s curse to live forever in the shadow of his younger self. On Monday, it seemed his mind was not fully made up as to whether he would continue. "I'm sure I'll speak to [the England manager] Gareth Southgate over the next few days and we'll have a conversation and see what happens," he said at the time. It is possible he was just delaying the announcement of his retirement, but it may be that Southgate refused to give him to sort of assurances about his future that he sought. Few would disagree and, unusually in football, his decommissioning has been handled with a level of dignity. Jose Mourinho gave him his chance at Manchester United last season before deciding Rooney was too lumbering a figure to be a regular, while Southgate dropped him for the internationals in March–with the perfectly serviceable excuse that he wasn’t playing much with his club. The likes of Alan Shearer and Paul Scholes have demonstrated how club careers can be extended by quitting internationals and so Rooney now can concentrate on Everton, for whom he has scored twice already this season and is playing with the sort of relish that has been missing from his game for years. His international legacy, though, is a complex one. His first start came in a European Championship qualifier against Turkey in Sunderland in April 2003. It was a difficult night, with riots breaking out around the ground and disgraceful racist chanting from England fans, but Rooney looked assured, unfazed by any part of the occasion. Five months later, amid an equally hostile atmosphere in Skopje, where Macedonia FYR fans burned England flags in the stands, he became the youngest player ever to score for England. By Euro 2004, he seemed unstoppable. He scored against Switzerland to become–for a few days, before Johan Vonlanthen of Switzerland pinched the record–the youngest scorer in the tournament’s history. He then scored twice in a 4-2 win over Croatia, the second converted with a magisterial sense of inevitability. For the only time on foreign soil other than 1990, it felt as though England might win a tournament. As it was, Rooney broke a metatarsal against Portugal in the quarterfinal, and England added to its litany of heroic defeats on penalties. Is it too harsh to say Rooney has never been quite the same since? Perhaps, given he did in the 13 years that followed become Manchester United’s record goalscorer, winning five Premier League titles and a Champions League. But for England he never approached the same heights again. A metatarsal injury affected his build-up to the 2006 World Cup. After much doubt, he arrived at the camp–a Prussian castle overlooking the Black Forest spa of Baden-Baden–on the eve of the tournament and announced that “the big man is back in town.” He missed the first game, came off the bench in the second and started the other three, playing sluggishly before being sent off for stamping on Ricardo Carvalho’s testicles in the quarterfinal defeat (on penalties, of course) to Portugal. He was as abysmal as everybody else in South Africa in 2010, but compounded poor form by swearing at fans who were berating him and, although he finally got a World Cup goal against Uruguay in Brazil in 2014, it was part of another defeat and a group-stage exit. The Euros in 2012 and 2016 were little better, lots of aimless chugging, in midfield in the latter tournament, before defeat in the first knockout round. In qualifiers it was a different matter, Rooney scoring with remarkable consistency. For some he became a convenient scapegoat, a consistent presence in a series of anti-climaxes at major tournaments. The malaise pre-dated him; he didn’t cause it. He was just one of the many brought down by the weird anxiety that habitually afflicts England on the big occasion. And with him it was all the more frustrating because he had, in 2004, offered a glimpse of something so much brighter.